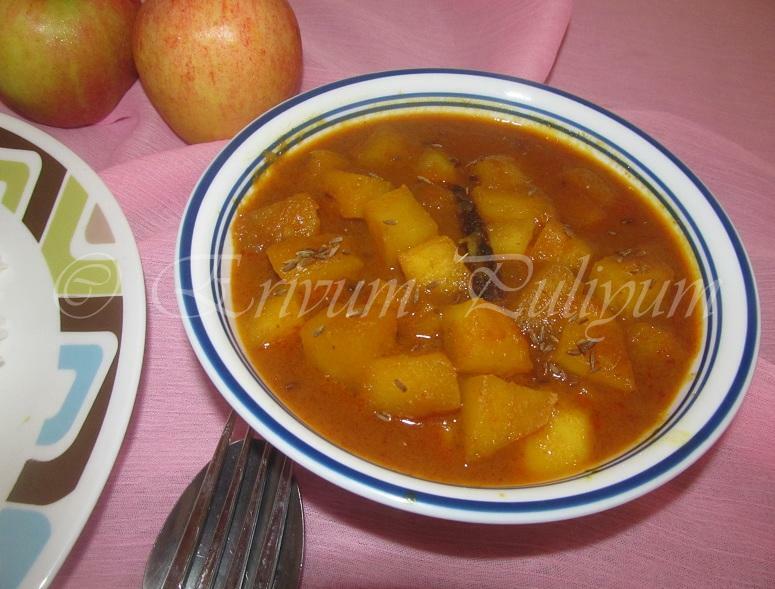 Wow , Curried apples ,it looks so delicious , very new to me ,i have to try this one thr a lots of apples in my fridge..urs looks grt. wow dear !!! !what a recipe with apples!! !love to try it out sometime !! !bookmarked !!!! This is really new to me.. Very interesting..
Julie, apple curry looks delicious. Never saw this version of curried apple. It looks so amazing. 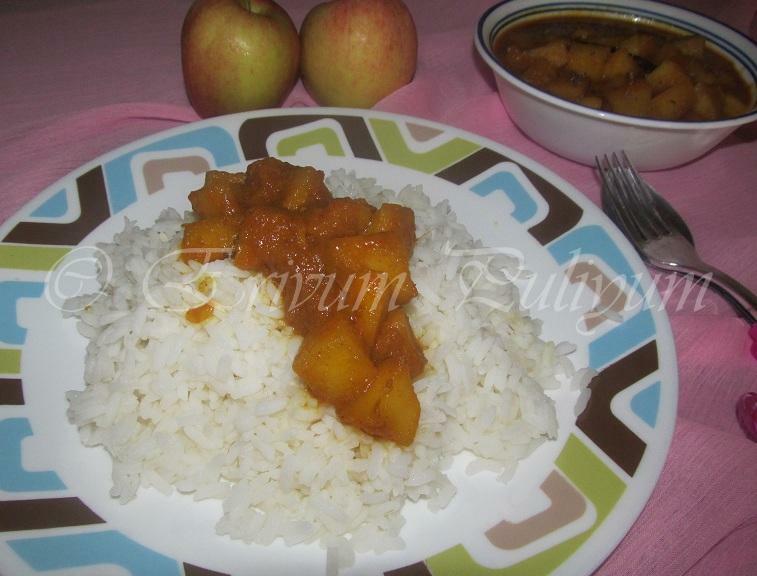 very nice........i really like kashmiri food!...we make a pulao here with apples. ithu kollam julie....njanum onnu try cheythu nokkatte.bookmarked! That's awesome! 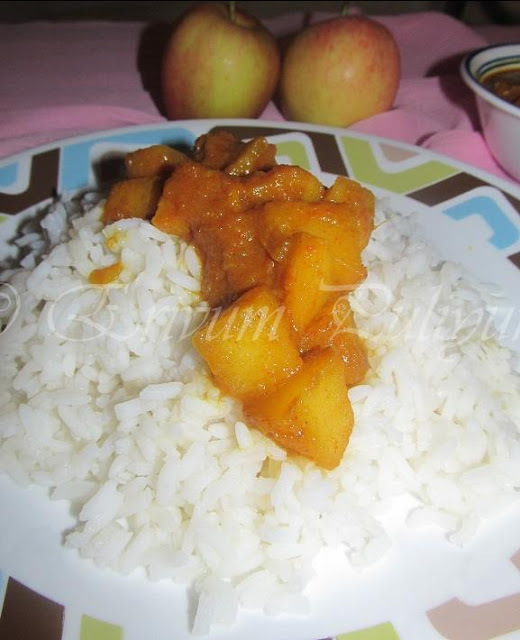 Never imagined apple in a curry.. Wonderful!! Never cooked apple this way.Such a fabulous and super tempting curried apple. loved this apple curry.sound delicious.. This recipe is new to me. Apple curry looks yummy. Thanks for linking my event. Never had an apple curry. I think I would like it! Julie such a wonderful curry. Have couple of apples lying untouched and was wondering what to do with them. Now I know. Very interesting curry looks delivious. Hey, Would you like to send this to "Let's Party - Fusion Food" Event ongoing in my space till July 14th? Thanks!